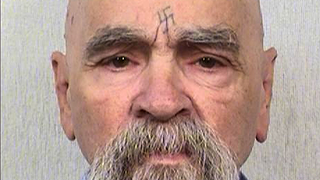 Charles Manson Is Definitely Guilty, But What If He Isn't? Charles Manson was found guilty of conspiracy to commit murder in 1971. But a new book by Daniel Simone says, hey, you know what? He might not be guilty of that helter skelter after all. Simone and co-author Heidi Ley are putting the finishing touches on a book that will lay out all the evidence that Manson, 80, was the victim of a ruthlessly ambitious prosecutor, Vincent Bugliosi. Before his death in June, Bugliosi wrote Helter Skelter. But even though it’s “the best-selling true crime book in history,” Simone and Ley claim readers of their book will “walk away with doubts.” It is, however, a little odd that Simone and Ley didn’t walk away with doubts of their own. So, somewhere during Manson’s largely incoherent and potentially drug-induced ramblings, he said things that made a lot of sense and suggest his innocence. Oh, and he “placed his thumbprints beneath his signature in case someone questions” the authenticity of his largely incoherent and potentially drug-induced ramblings! Sounds like a reliable guy. Simone called Manson “quite clever,” and I don’t doubt him. I mean, a person has to be at least a little clever to convince people to kill on their behalf, right? That is, of course, if he actually did it.